The Yankees and Red Sox are meeting this week for their first series after surprisingly slow starts. Where do the two teams stand as we enter the third full week of the season? But what happens when both teams should be great but aren’t playing that way? Will their unexpected mediocrity add another layer to the rivalry’s first series of 2019? We’ll find out when the Red Sox visit the Bronx on Tuesday to begin a two-game series. Neither team appears too concerned with their slow starts. The Yankees can point to their 11 players on the injured list—including five of their nine starting position players, ace pitcher Luis Severino and dominant reliever Dellin Betances—as reasons for their lackluster offense and inconsistent pitching. The Red Sox can find some relief in their starting pitching struggles because of the group’s lesser workload in spring training. The idea was to build them up slowly after working through last year's World Series. Chris Sale, Rick Porcello and Nathan Eovaldi have not pitched well over the first few weeks of the season, but now is when they are doing the work they would have done in spring training to ready their arms. The hope is that their delayed workload will allow them to be rested enough to avoid a mid- or late-season lull. Still, don’t let these legitimate excuses mask each team’s actual alarming problems. Lefthander James Paxton (1-2, 6.00 ERA) has looked dreadful three starts into his Yankees tenure; J.A. Happ (0-2, 8.76 ERA) has been even worse. A healthy Severino and full-strength lineup can’t make either southpaw pitch better. Red Sox’ centerfielder Jackie Bradley Jr. and infielder Eduardo Nunez both have seven hits in 29 games combined. Yes, J.D. Martinez and Xander Bogaerts are forces in the middle of the order—and reigning MVP Mookie Betts will be much better than the league-average hitter he’s been thus far—but Boston’s offense looks far less daunting than it was last year. The team's .708 OPS ranks 10th in the American League. Unlike the Yankees, there isn't a butcher’s list of injured hitters that will eventually return to the Red Sox' lineup. What we’re seeing from their offense now might just resemble what it will be throughout the season. 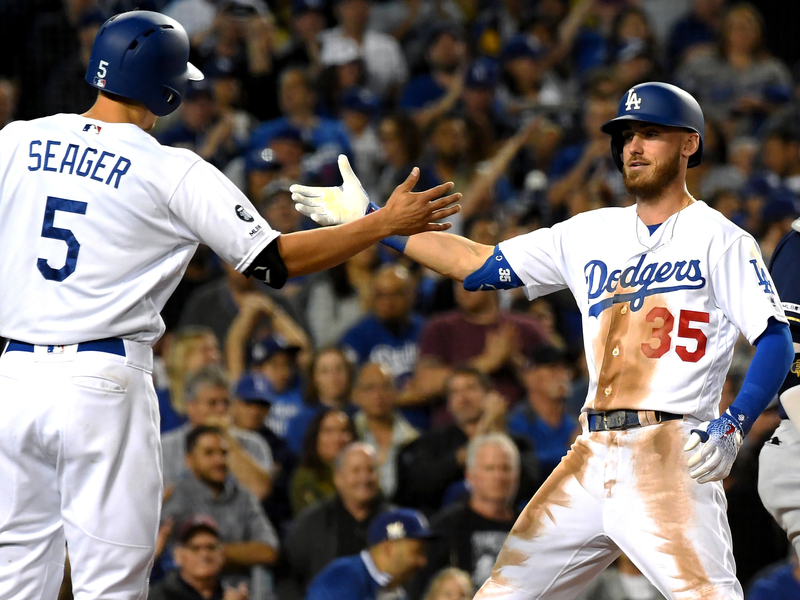 Despite a recent losing skid, it's no secret the Dodgers are among baseball's best teams. SI.com’s Emma Baccellieri ranked them No. 1 in our first MLB Power Rankings of the year, and Cody Bellinger has elevated his game to an MVP-caliber level in his third season. Clayton Kershaw is making his 2019 debut on Monday against the Reds (featuring former Dodgers Yasiel Puig and Matt Kemp) and it appears shortstop Corey Seager is starting to get his groove back after having Tommy John surgery and missing most of last season. But the Dodgers are scuffling as we enter the third full week of the season. They lost six straight games before winning the final game of their NLCS rematch series against the Brewers on Sunday. Pitching has been their main problem (5.19 ERA over the last week) and they could have a tough time if their offense stalls against a strong opposing staff, which is what happened when the Cardinals swept them during last week’s four-game series in St. Louis. Fortunately for Los Angeles, the National League West is the weakest of the three NL divisions. The Dodgers’ only real competition (maybe?) is the Padres, a young team that is still a year or two away from being contenders. So unlike the Red Sox, the Dodgers actually have the luxury of taking it slow with their starting pitchers. As long Kershaw, Walker Buehler and injured starters Rich Hill and Hyun-Jin Ryu are healthy and performing down the stretch, the Dodgers should hardly break a sweat en route to their seventh straight division title. Speaking of the lowly NL West, this weekend’s series between the Giants and Rockies was ugly. It’s something you can expect more of from these two teams this season. They played an 18-inning game Friday night that leaked well past midnight on the West Coast. The Giants won 3-2, with the winning run—coming on a one-out, bases-loaded fielder’s choice—scored only because catcher Chris Iannetta pulled his foot off the plate before catching the throw from centerfielder Ian Desmond, who was an extra man in the Rockies' infield as part of their last-gasp strategy. On Sunday, Rockies righthander German Márquez fired a shutout and came within five outs of a no-hitter. But the bright spot in the series was Madison Bumgarner, who pitched seven innings, allowed two runs and struck out seven on Saturday. The 29-year-old lefthander has posted a 3.12 ERA and a 0.92 WHIP in four starts. His walk percentage is 3.8% better than it was last year and falls more in line with where it was from 2014-17. 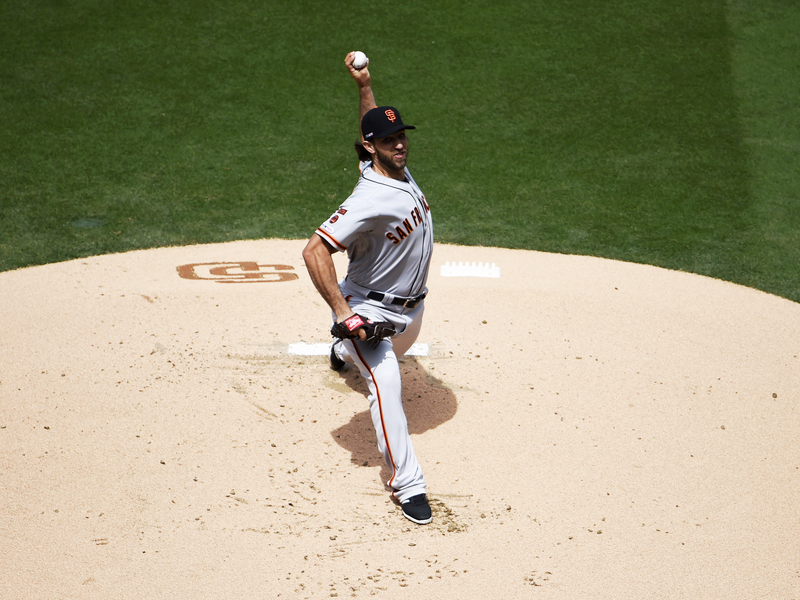 Giants fans may not want to read this, but Bumgarner would be a great addition to a team in contention. Imagine a revitalized MadBum having the impact that 27-year-old CC Sabathia did when he was traded to the Brewers in July 2008. In 17 starts with Milwaukee, Sabathia went 11-2 with a 1.65 ERA and seven complete games—in three months! The Brewers sent future all-star outfielder Michael Brantley (as the deal’s “player to be named later”) to Cleveland for Sabathia. The rebuilding Giants could use a Brantley-caliber player, especially in their makeshift outfield consisting of Gerardo Parra, Kevin Pillar, Steven Duggar and sometimes first baseman Brandon Belt. • The Rays are more than just a great pitching team that popularized the Opener fad. Their starting rotation actually has legitimate starters this year—Cy Young winner Blake Snell, Charlie Morton and Tyler Glasnow (0.53 ERA in three starts! )—and their young offense has been remarkable. Their 12-4 record is the best in baseball. • We all saw the viral video of Marcell Ozuna climbing the leftfield wall to rob a home run, only for the ball to land in the middle of the warning track. But there have been enough gaffes from the Cardinals’ leftfielder the past two seasons to wonder how the heck he won a Gold Glove with the Marlins in 2017. • Jose Altuve homered in five consecutive games last week before that streak was snapped Sunday. He hit six home runs total in that span and has returned to MVP form after injuries limited him last season. • Good news, O’s fans: Chris Davis got a hit—actually two hits against the Red Sox on Saturday—to end his hitless streak at 54 at-bats. The bad news is Davis went 0-for-4 with two strikeouts on Sunday. When will this one end? • Mariners’ DH Daniel Vogelbach (and my MLB player comp) continues to mash baseballs the way you’d expect player of his girth to do. He’s slashing .378/.478/.973 with six homers and a 276 wRC+ in 12 games this season and has become a fan favorite in Seattle.